The Panacea steam bath soothes your body and soul. Hot steam envelopes your body and brings total relaxation, releasing tension and muscle aches while your customized light and sound settings brings tranquility to the mind. TylöHelo Elysée is the perfect complement to public bathing facilities in hotels, spas and corporate hospitality suites. Or why not a luxurious addition to your home? 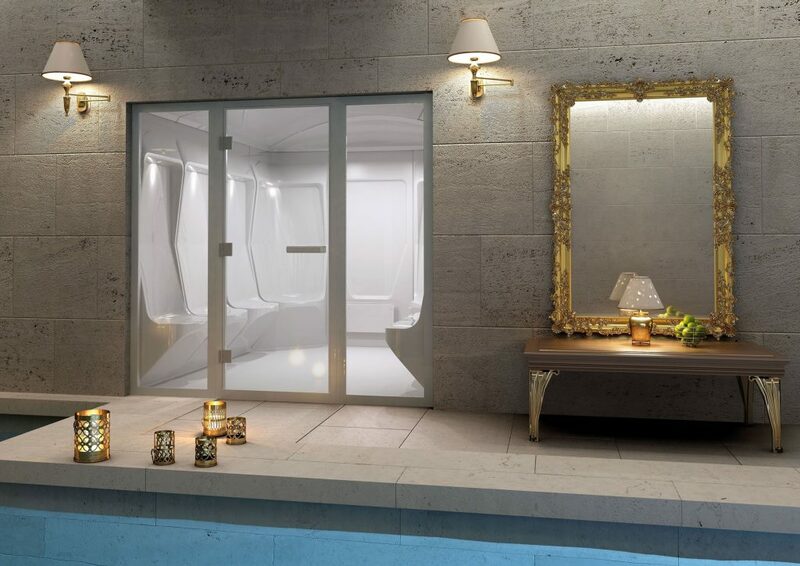 The organic shapes of the Elysée steam room interiors will certainly help you relax in the best possible way. 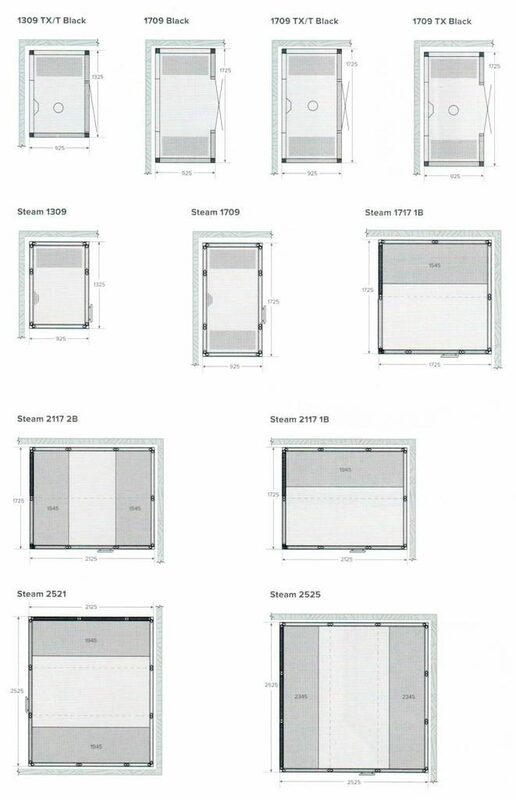 Complete steam room kits. Easily installed and ready to go. High level of comfort with individual and ergonomic seating. 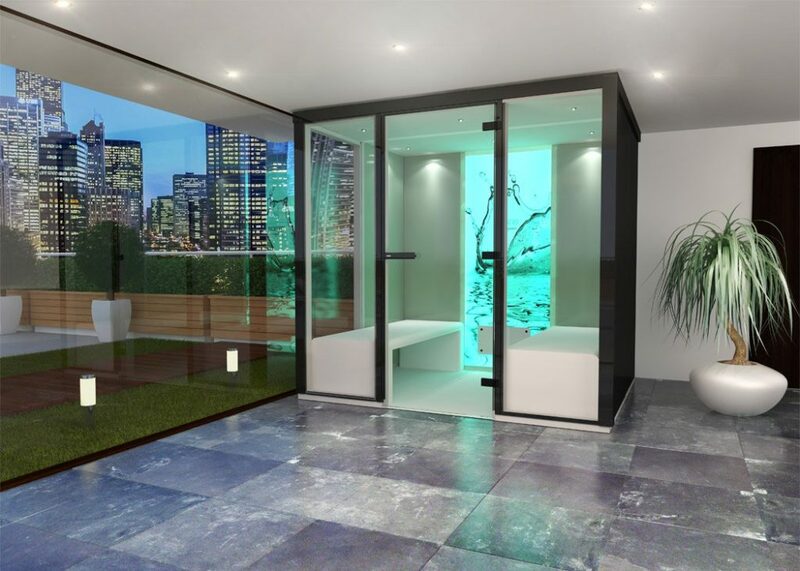 Customize your Elysee steam room to suit your taste with its versatile construction and available options. 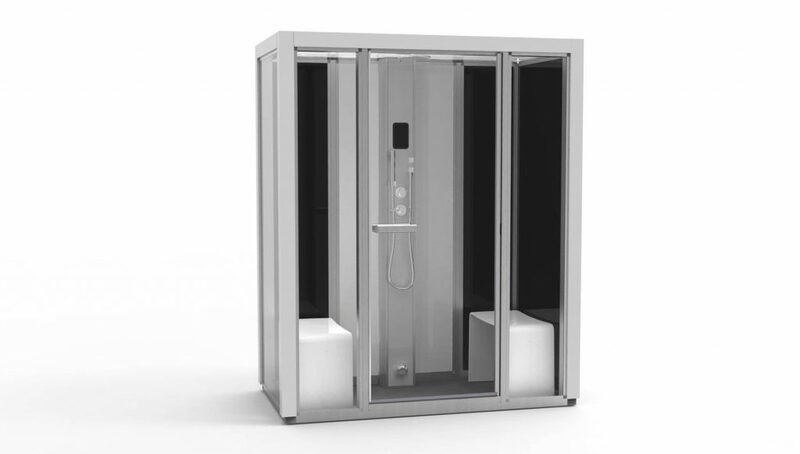 With the TyloHelo steam shower impression 170 you can have a shared bathing experience with steam bath and shower and room for two. The TyloHelo steam shower i170 is a flexible solution, with a Scandinavian design, and can easily be adapted to existing house design. With its economical outer measures the TyloHelo steam shower i170 fits perfect in a corner, in the small and medium sized bathroom, and everyone who likes a spa-experience shared.